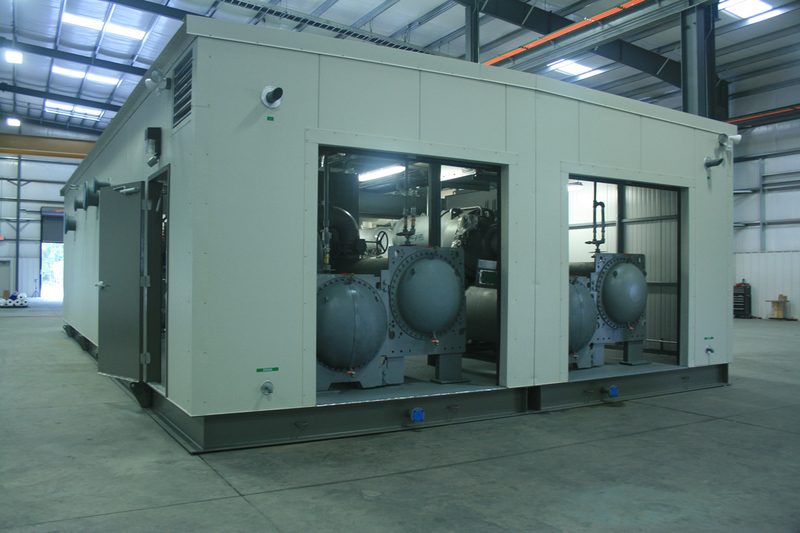 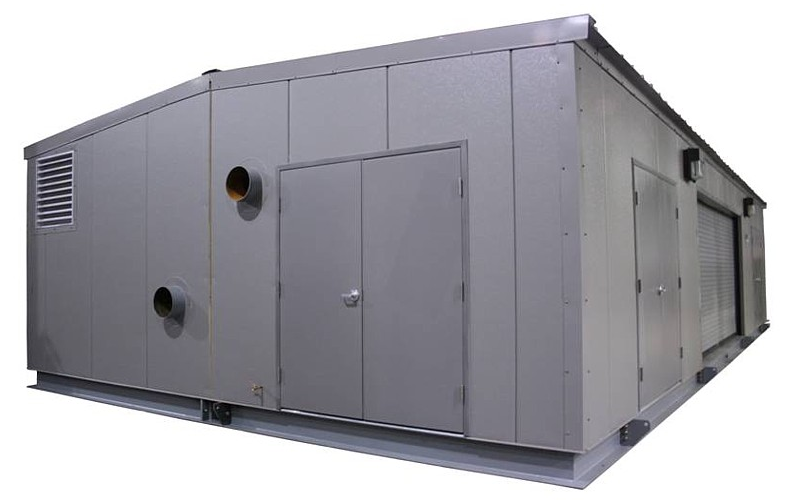 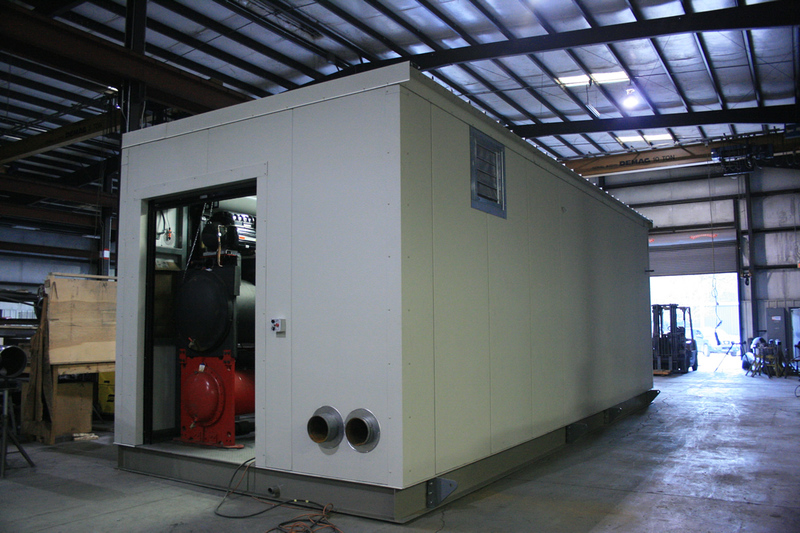 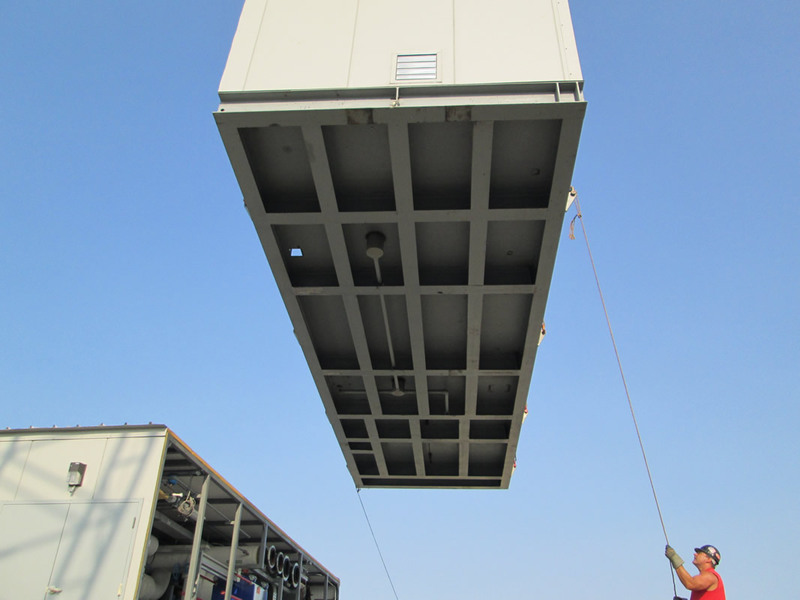 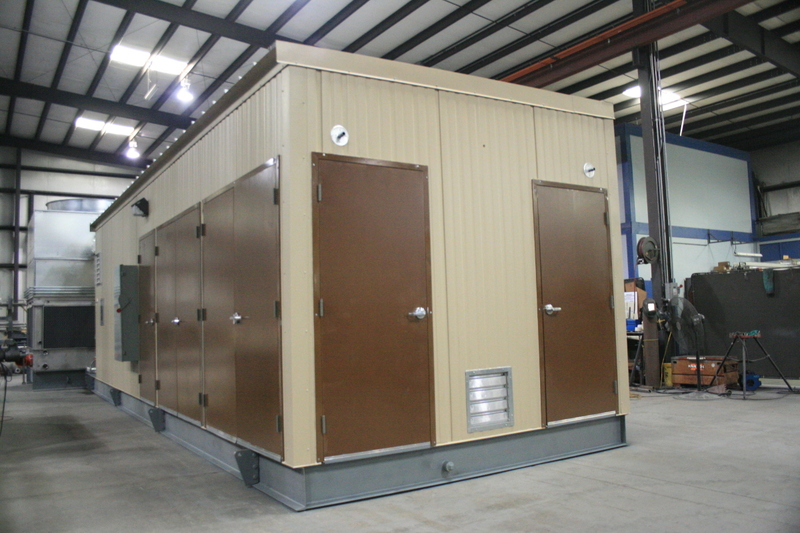 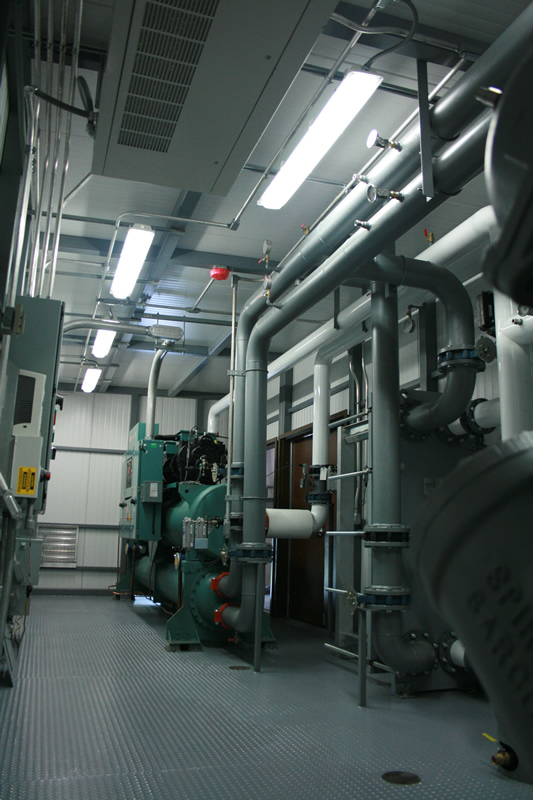 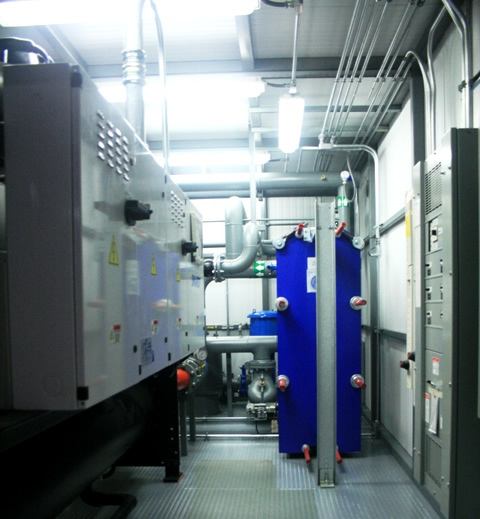 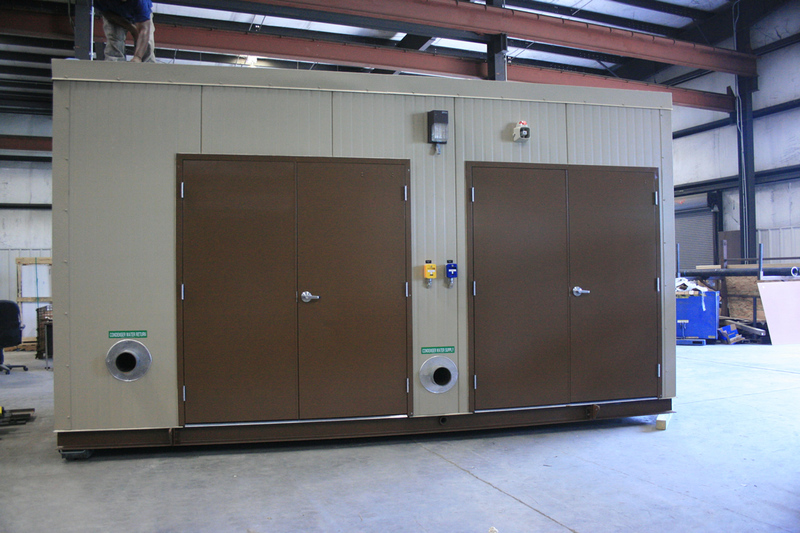 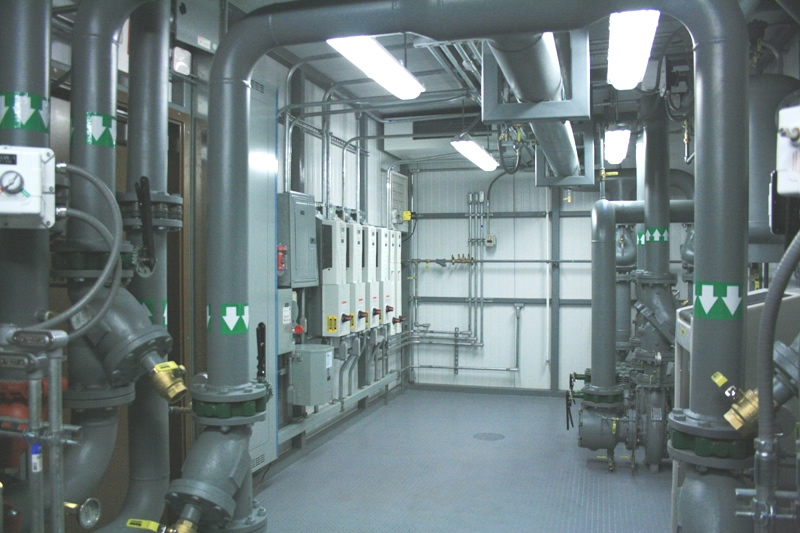 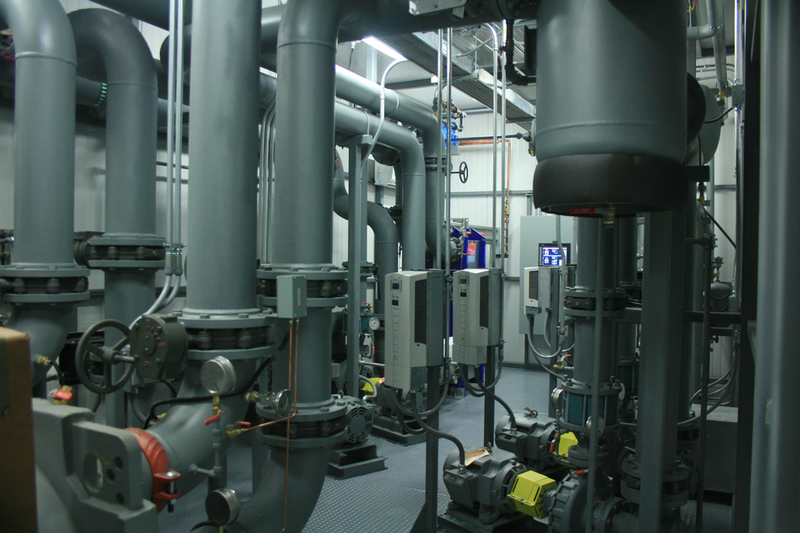 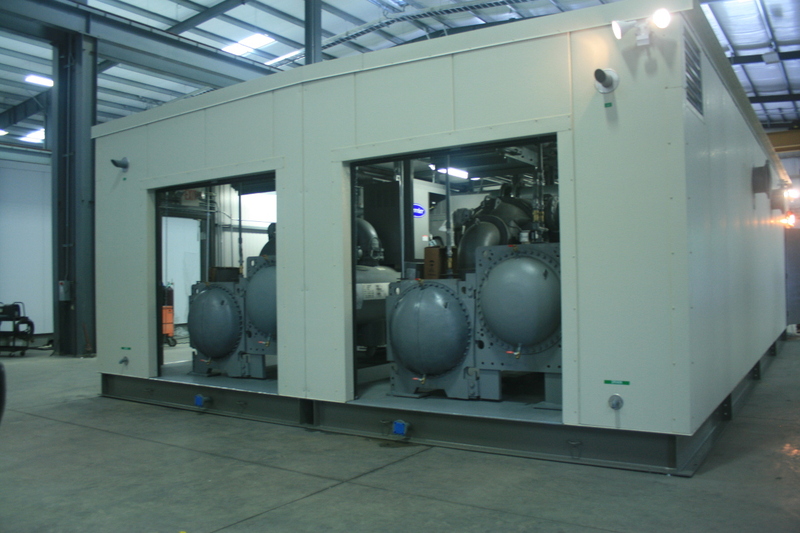 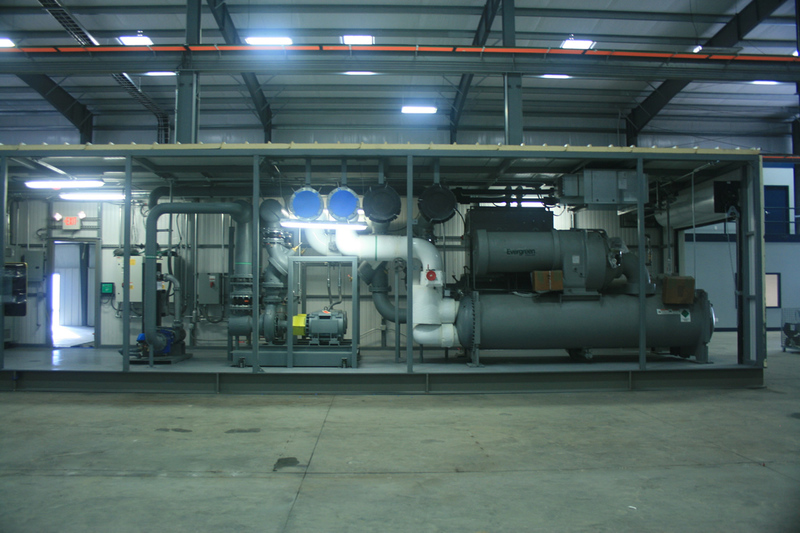 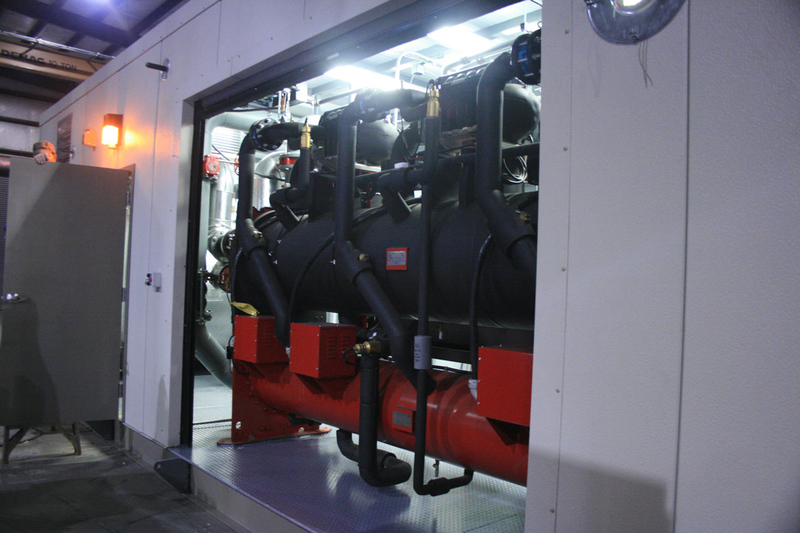 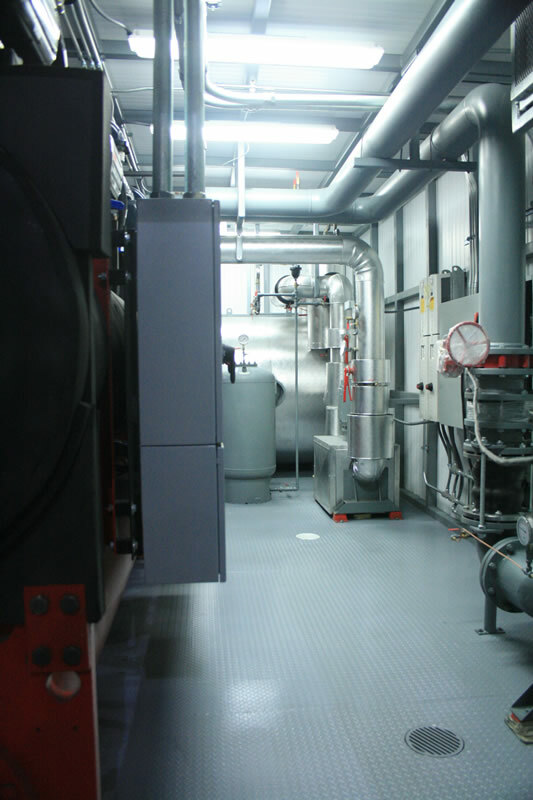 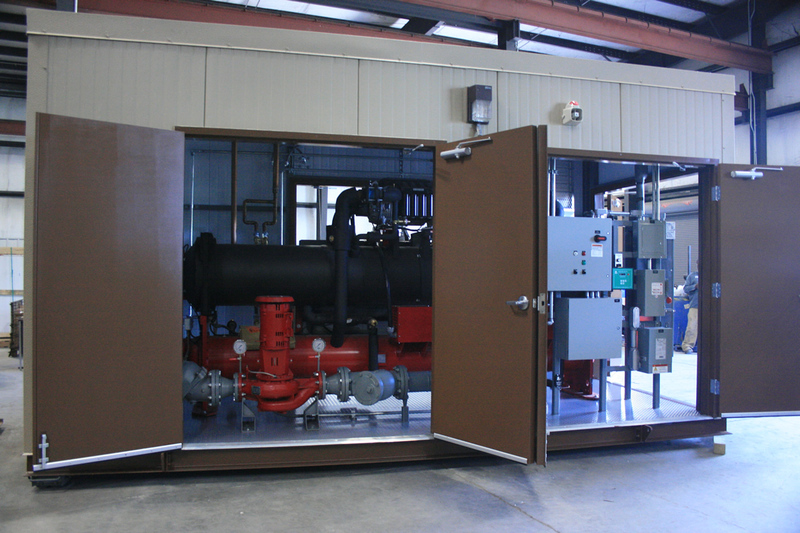 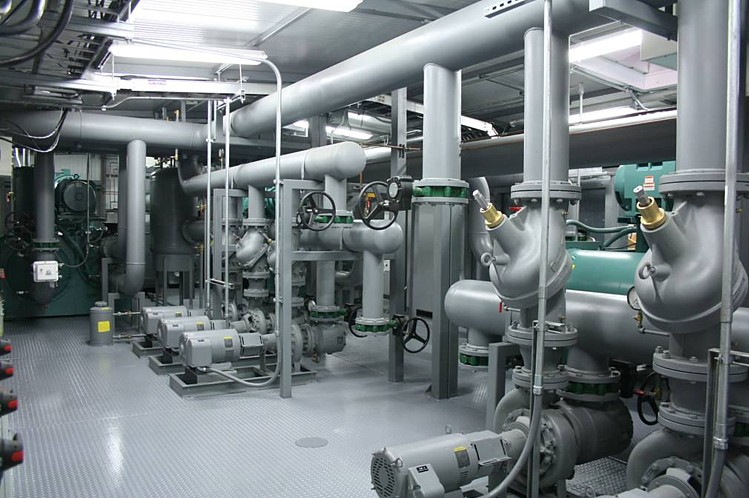 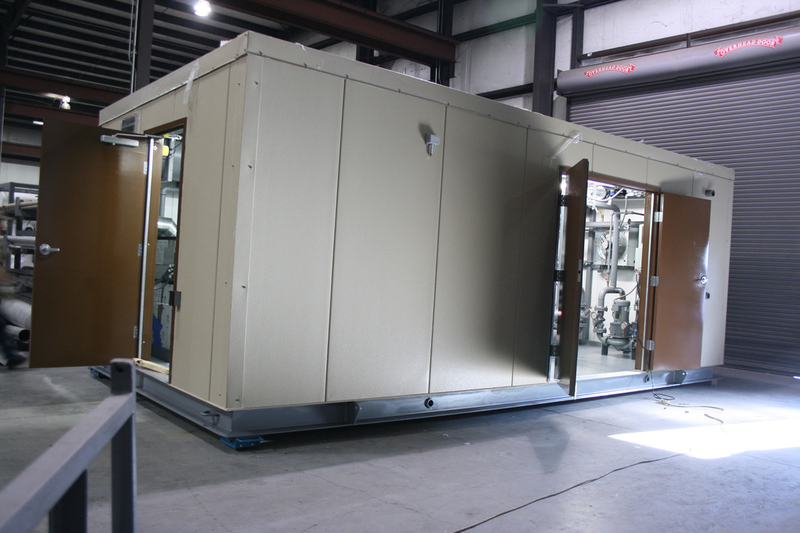 The envirosep MCP, a modular chilled water plant, is a UL-Listed, factory engineered and manufactured mechanical room utilized in conventional building cooling systems which uses chilled water as the cooling medium. 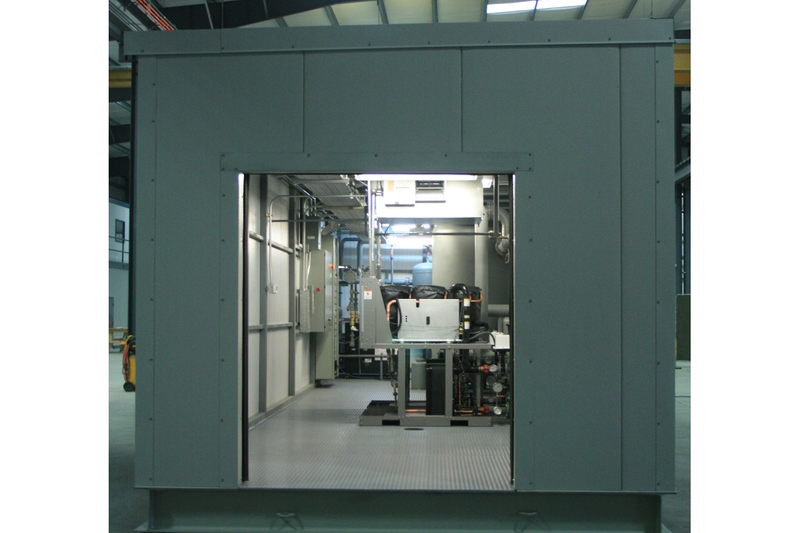 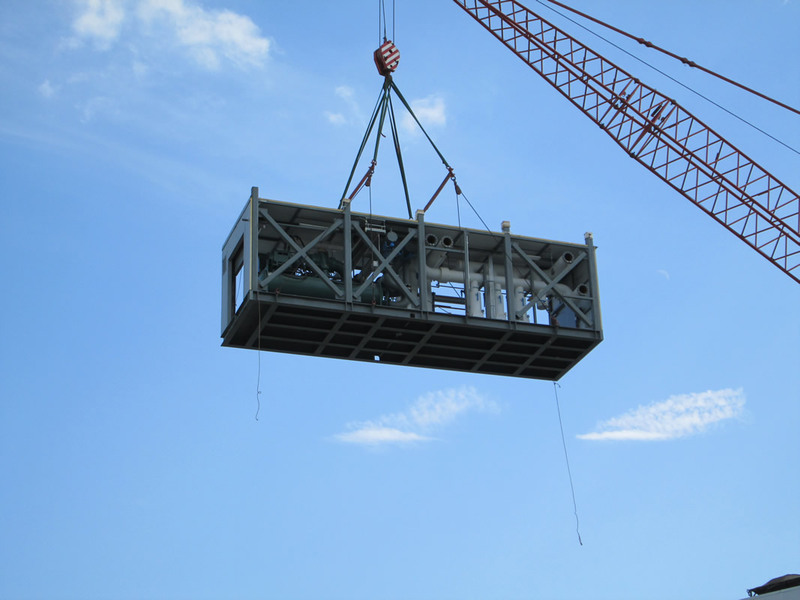 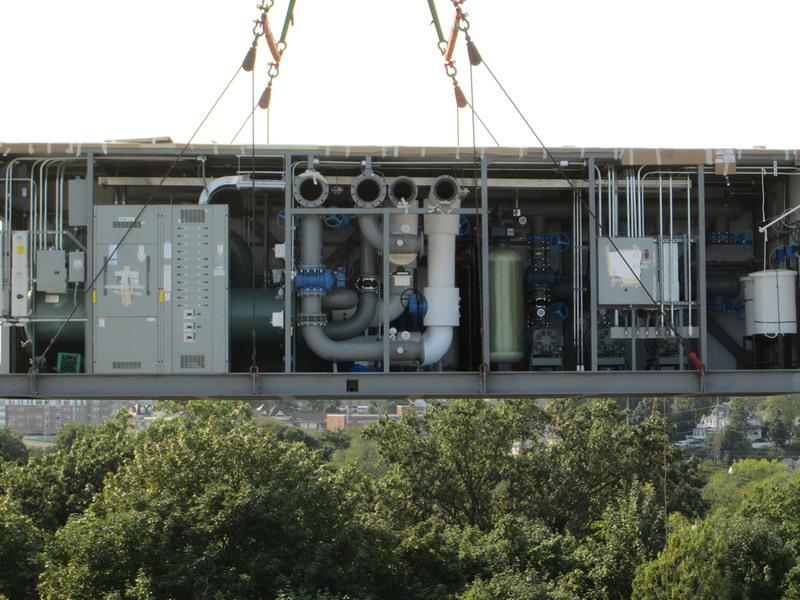 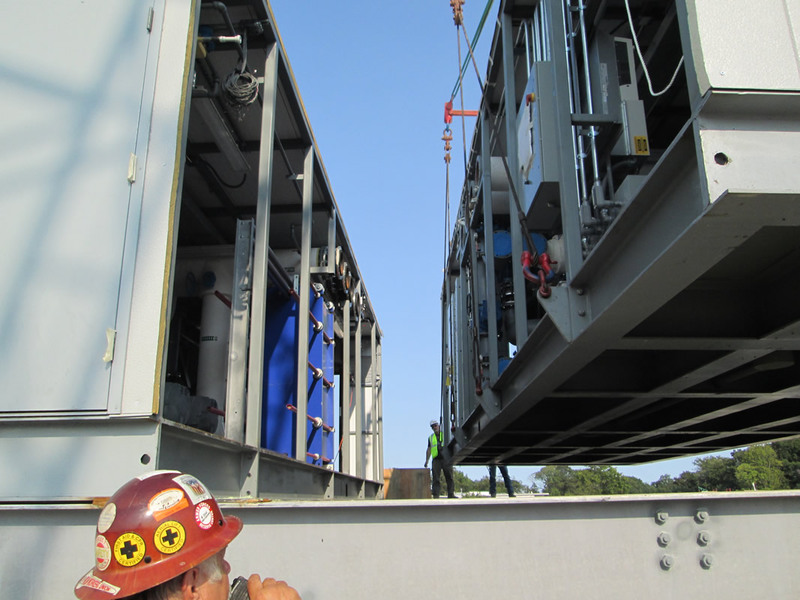 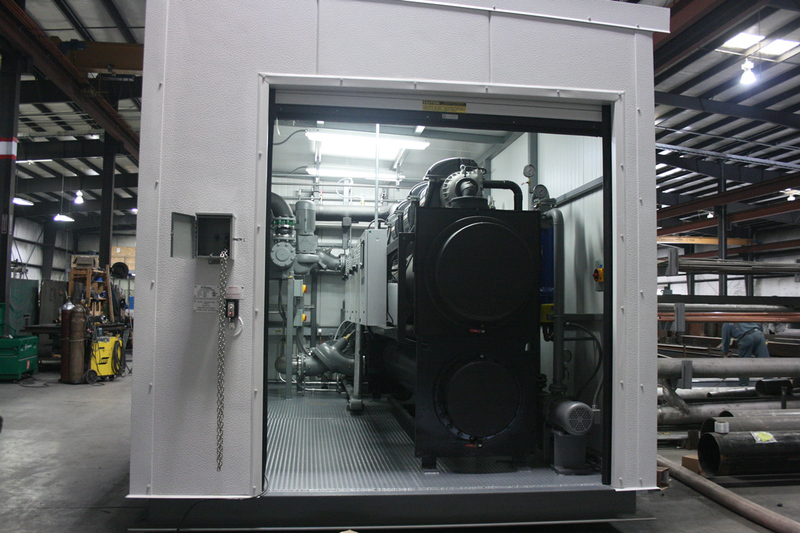 The envirosep MCP provides a lower cost alternative to site-built central plants while avoiding costly project delays. 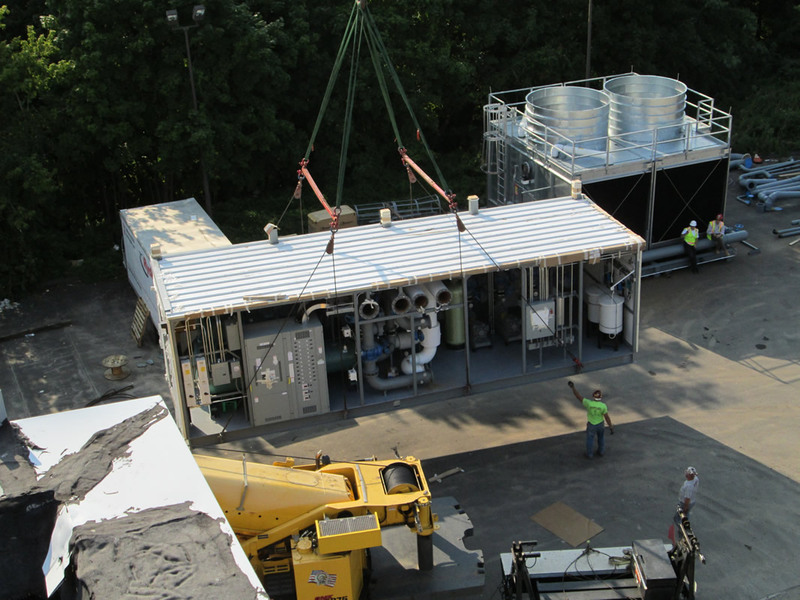 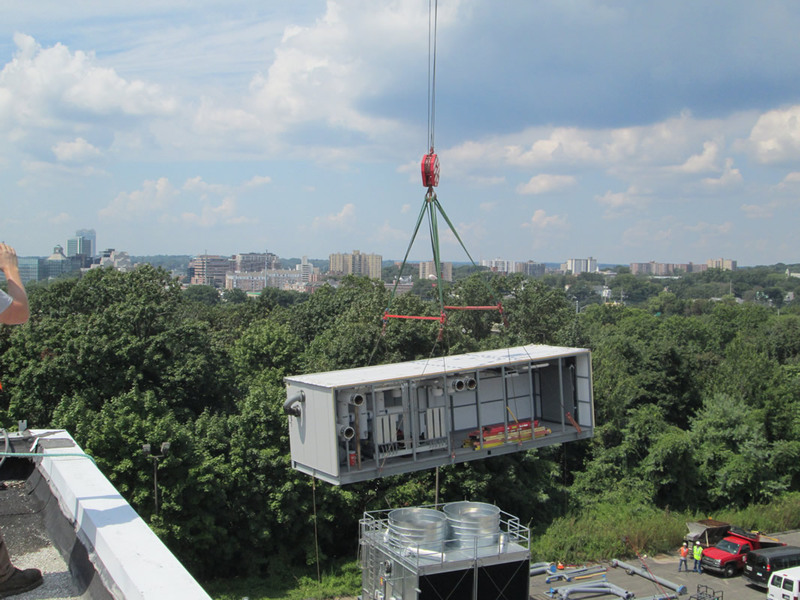 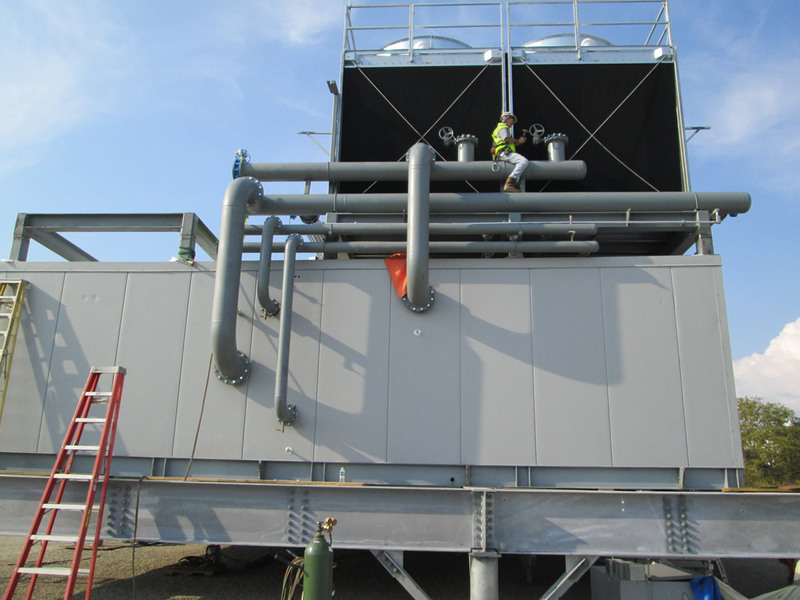 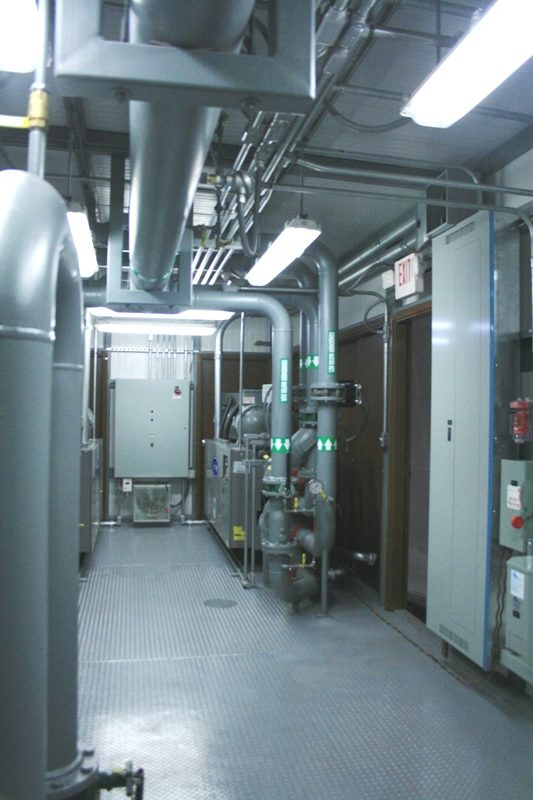 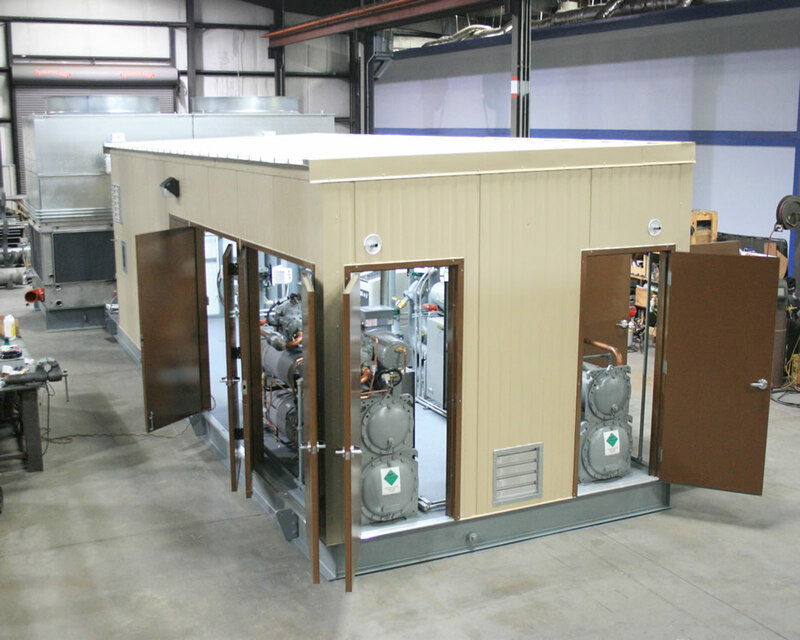 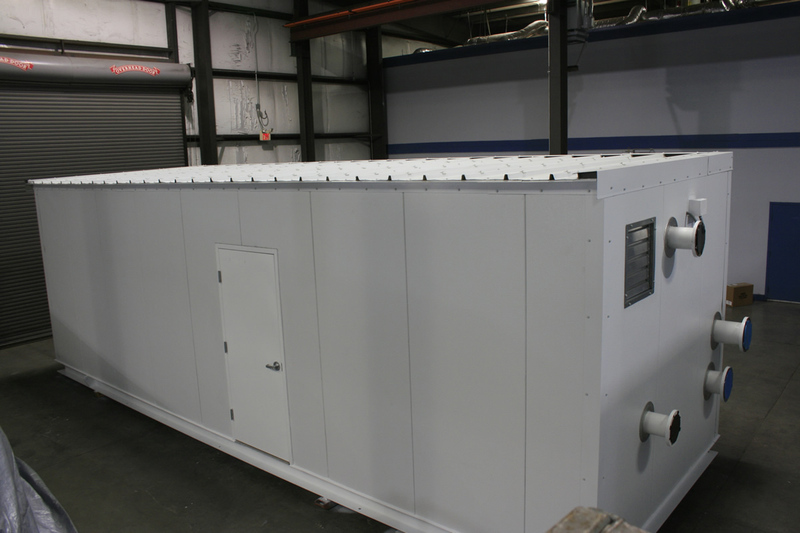 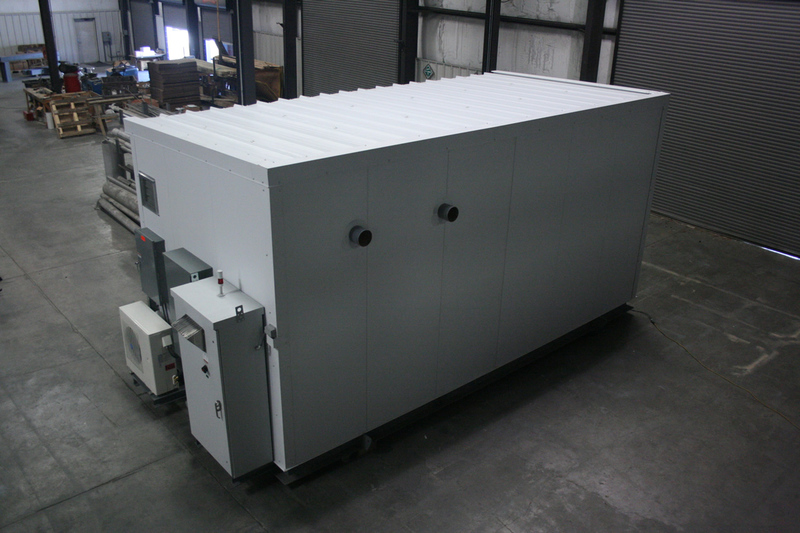 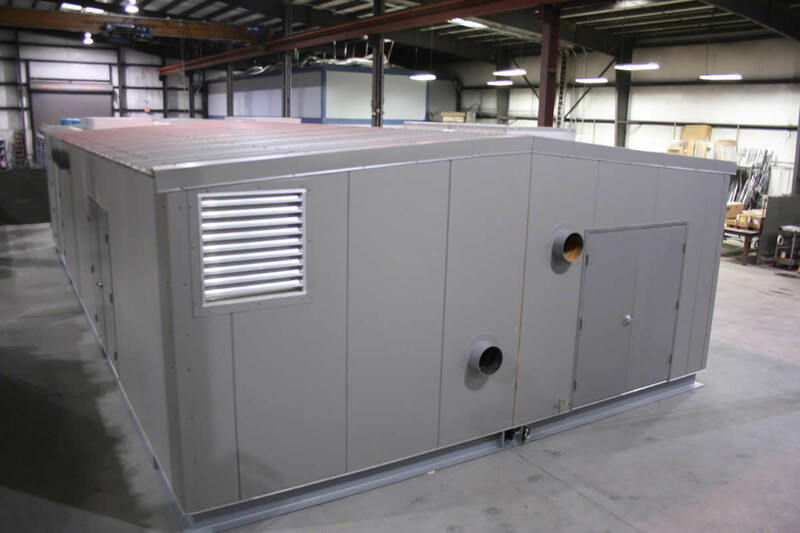 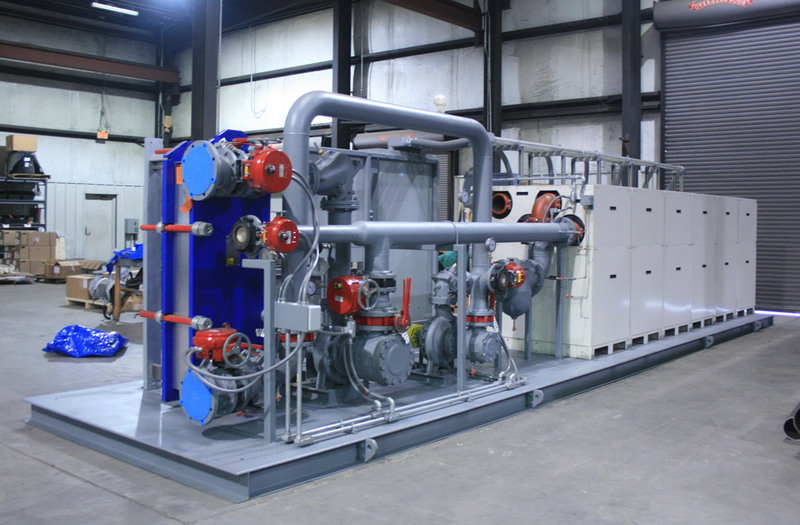 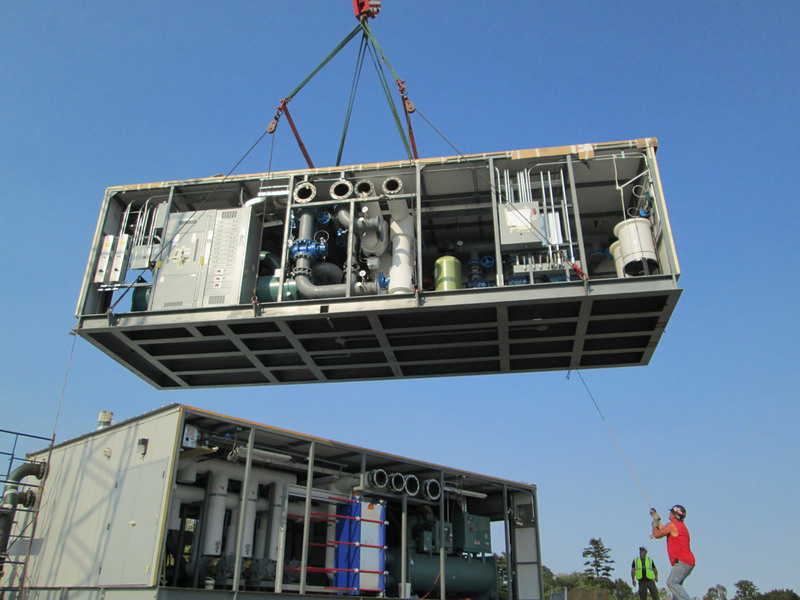 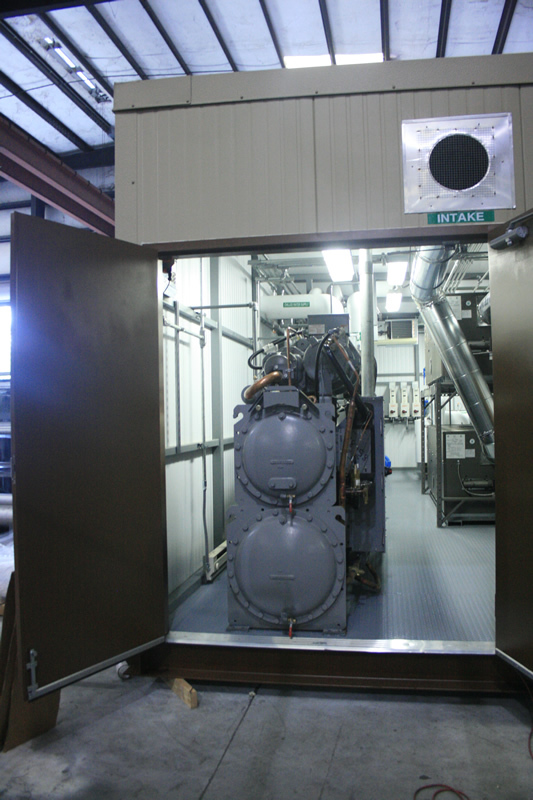 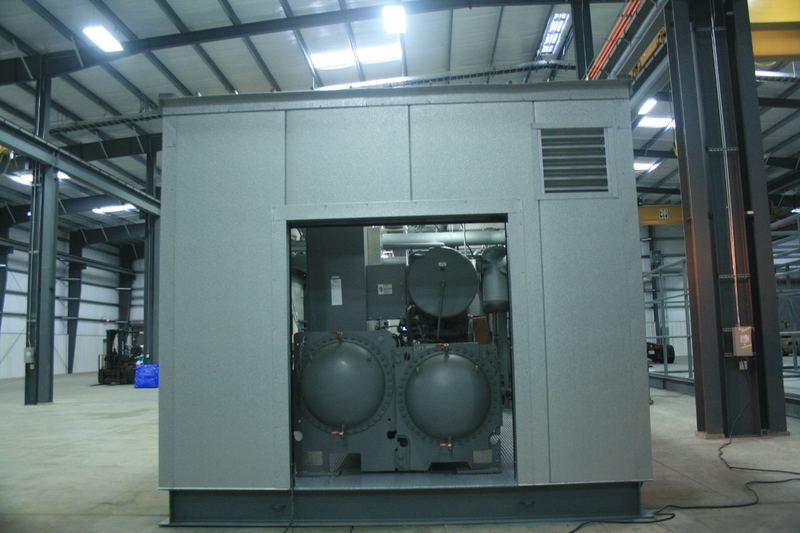 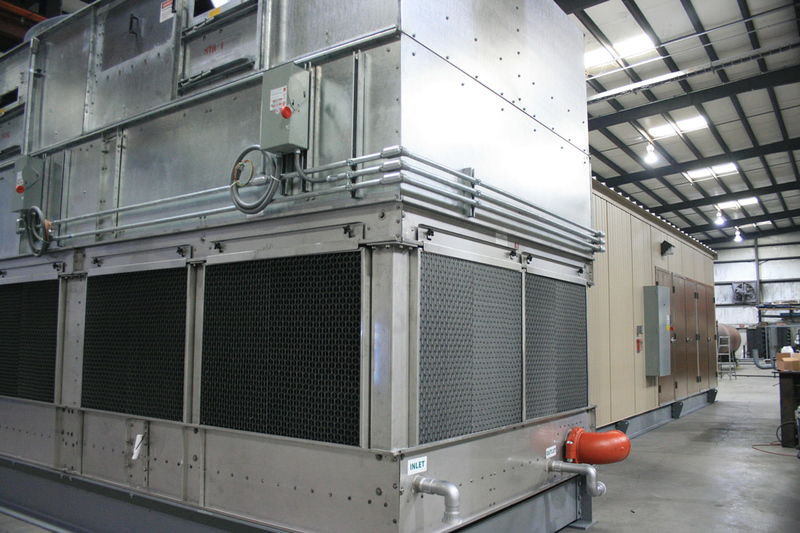 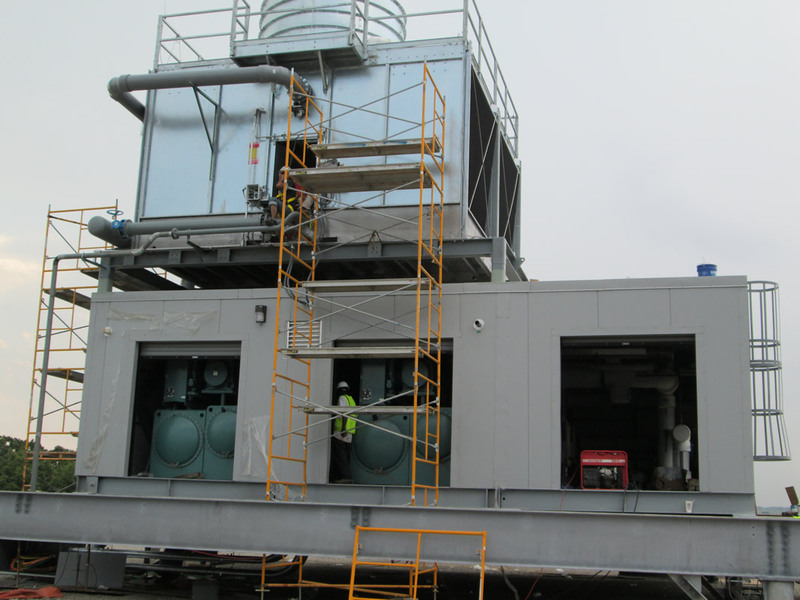 All components required to integrate a stand-alone chiller plant are included, eliminating site coordination, and negating start-up irregularities. 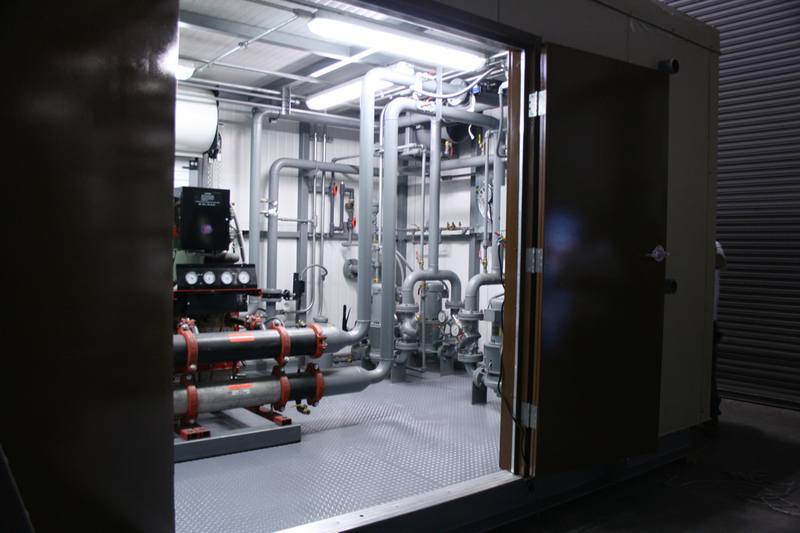 Custom-engineering by Envirosep enables the owner to specify key components from a range of manufacturers that meet performance needs. 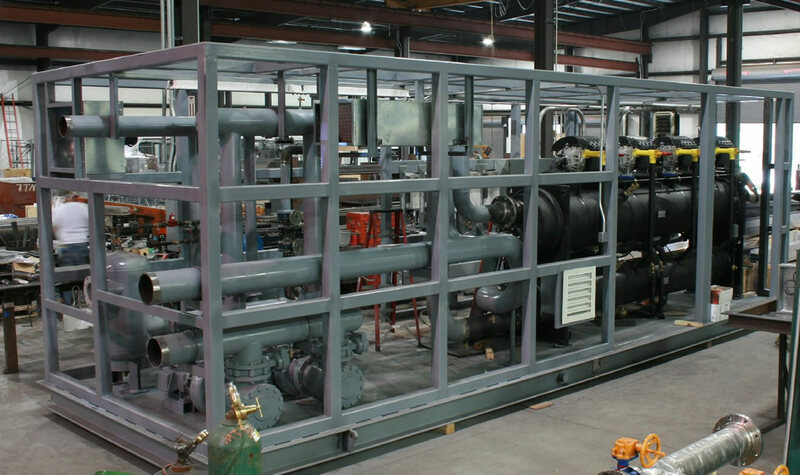 Envirosep factory service personnel, who have followed the project from inception, perform site start-up eliminating errors from multiple hand-offs. 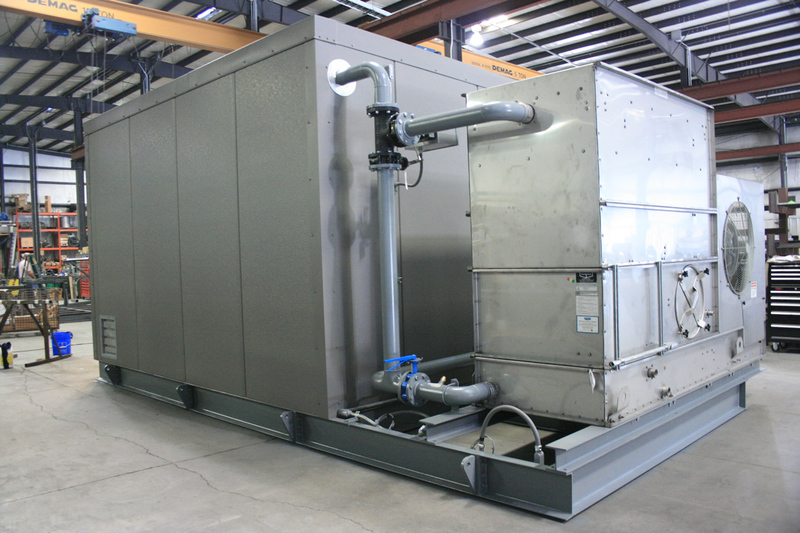 The envirosep MCP is controlled by a non-proprietary, chiller plant optimization controller, providing the best system operating efficiency. 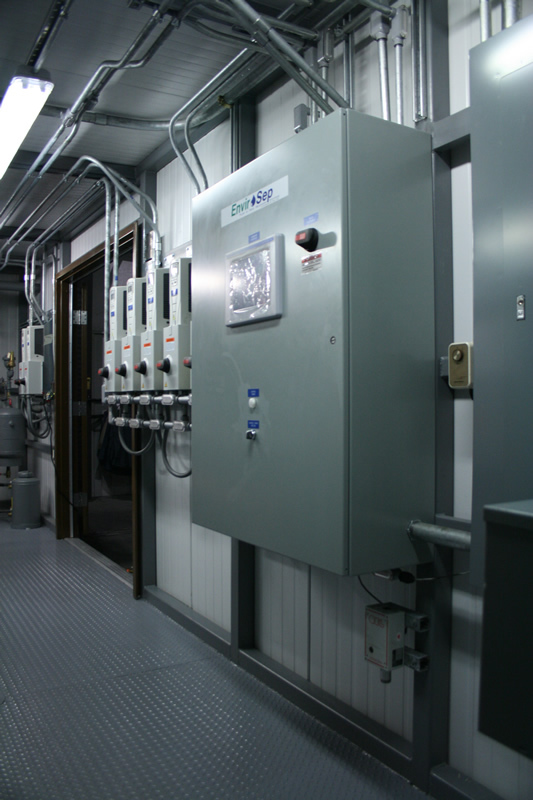 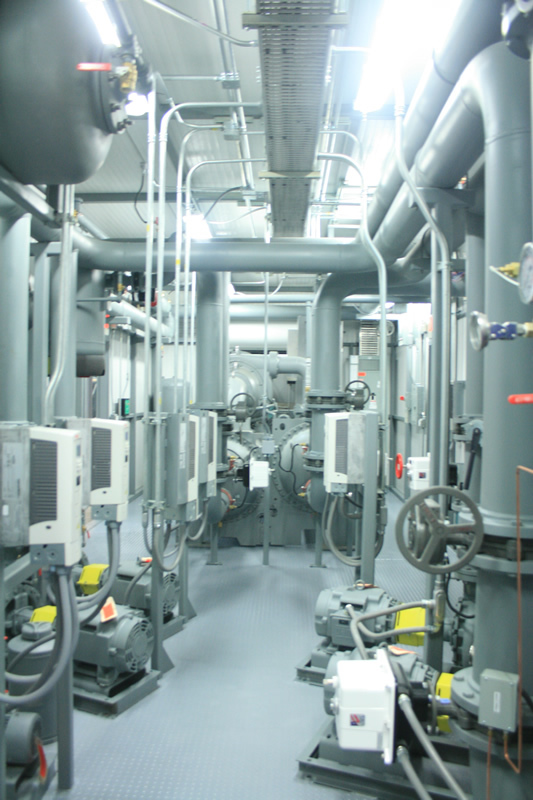 Variable frequency drives may be incorporated with manual or automatic bypasses. 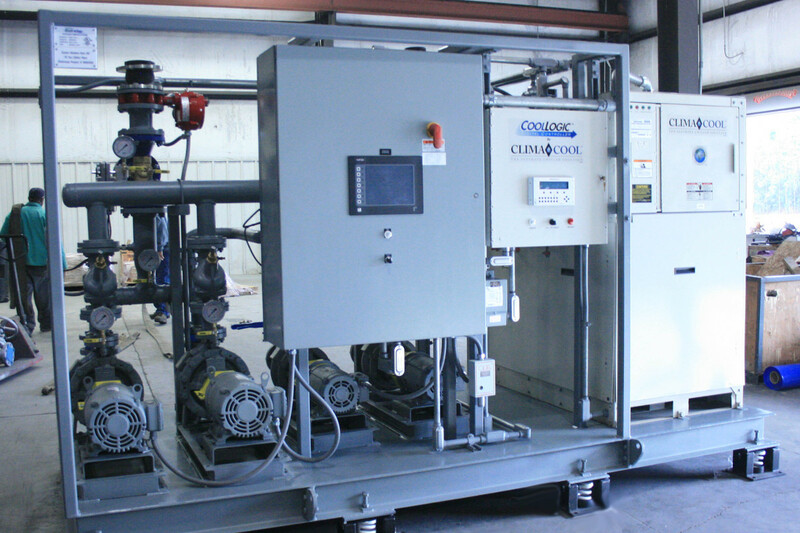 A user-friendly, color touch screen operator Interface is utilized for simple operation. 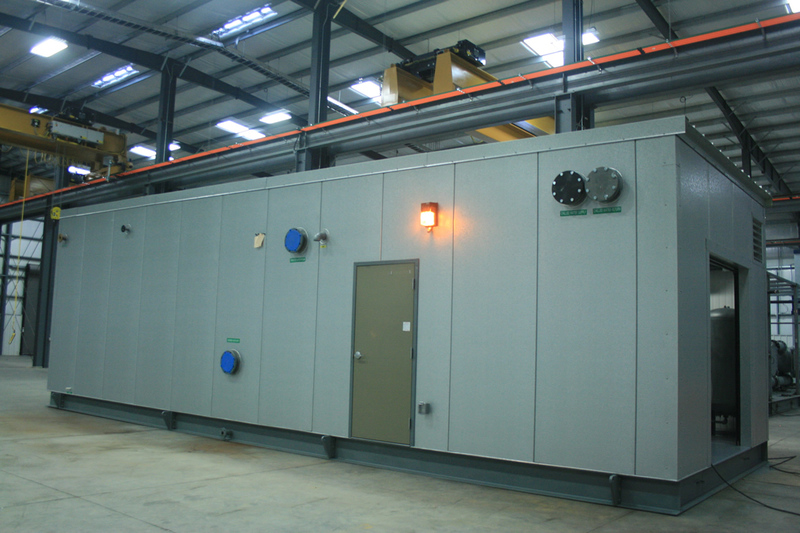 Factory engineering staff are available to assist facility owners or engineers in conceptual development and planning.